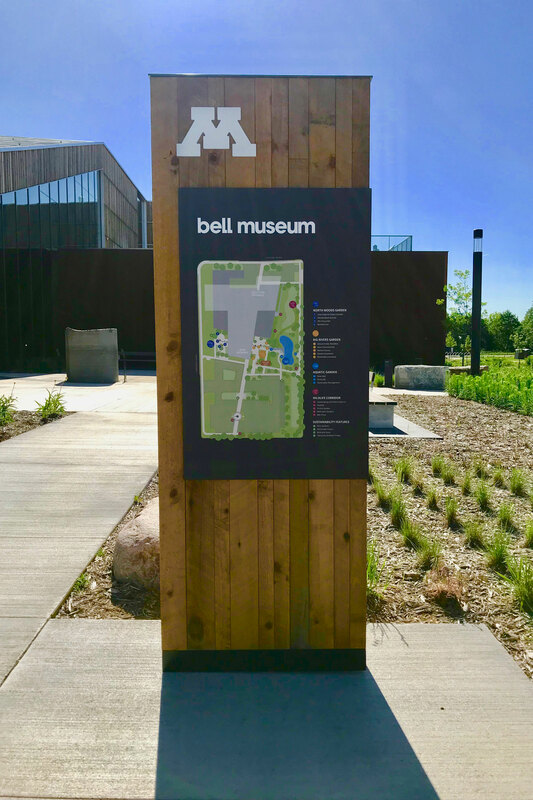 The Bell Museum of Natural History, on the University of Minnesota’s campus, reopened in July 2018, serves as an inspiring space for continued learning. A natural history museum of the future, the Bell Museum brings the University of Minnesota’s rich collection into a new light, with groundbreaking new exhibits, learning labs, and a learning landscape showcasing the ever-changing dynamics of the natural world. 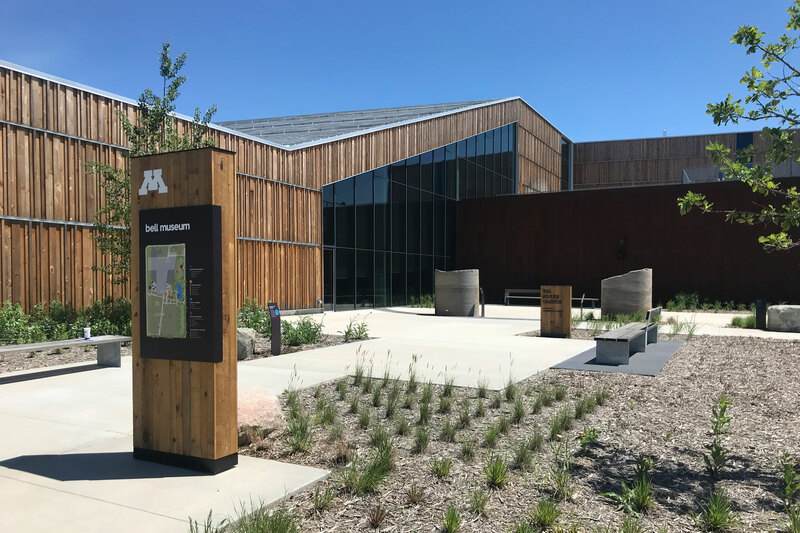 The new 92,000 square-foot facility encourages visitors to discover, document and understand life in its many forms and to inspire curiosity, delight and inform stewardship of the natural world. Discovery begins with the scientific process of “how we know.” Visitors are inspired to wonder about our place in the Universe and explore the challenges of how to sustain all life on our planet. Visitors enter the experience through this entry portal. It’s a dark, compressed entry with a dramatic start to the experience—opening to the Life in the Universe Gallery. Here visitors are introduced to the story of Minnesota, starting with the origin of Earth. 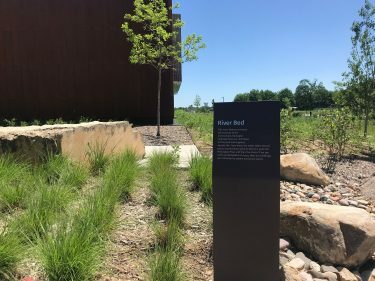 What conditions allowed life to flourish and how did these conditions affect the climate and biomes of Minnesota. This low-light space prepares visitors for their journey into the deep-space theatrical environment at the other end of the tunnel. 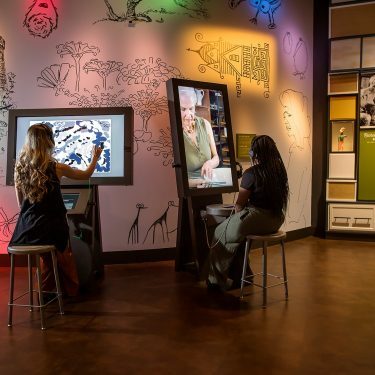 We wanted the exhibits to foster inclusion and a sense of personal engagement that inspires curiosity, delight and informed stewardship of the natural world. The reimagined exhibits take visitors on a journey from the creation of the universe to Minnesota’s own unique habitats. 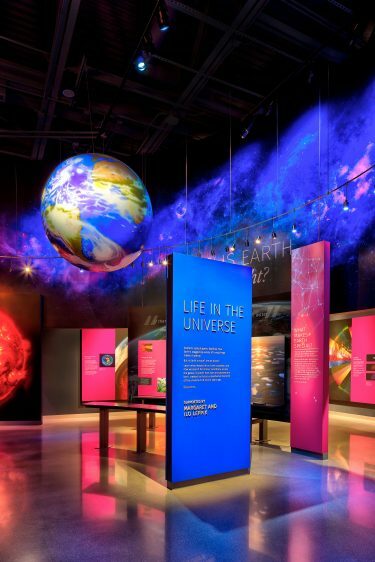 With an emphasis on relevance for visitors and a goal of engagement, the exhibit designs are meant to demonstrate that the story of the universe is really the story of “you.” The Bell Museum’s new state-of-the-art planetarium takes you on amazing journeys from the far reaches of the cosmos to deep inside the human brain. Using the latest technology to construct a “seamless” dome, this planetarium is the first of its kind in the United States. This Birth of Life film uses high resolution 3D animation and special effects, to deliver the powerful story of how life on earth began 3.5 billion years ago. It’s a dramatic foreshadowing into the next gallery that reveals the explosion and diversity of life. Here, people learn about the Tree of Life and the building blocks of life on earth, the evolution of DNA and the definition of species. 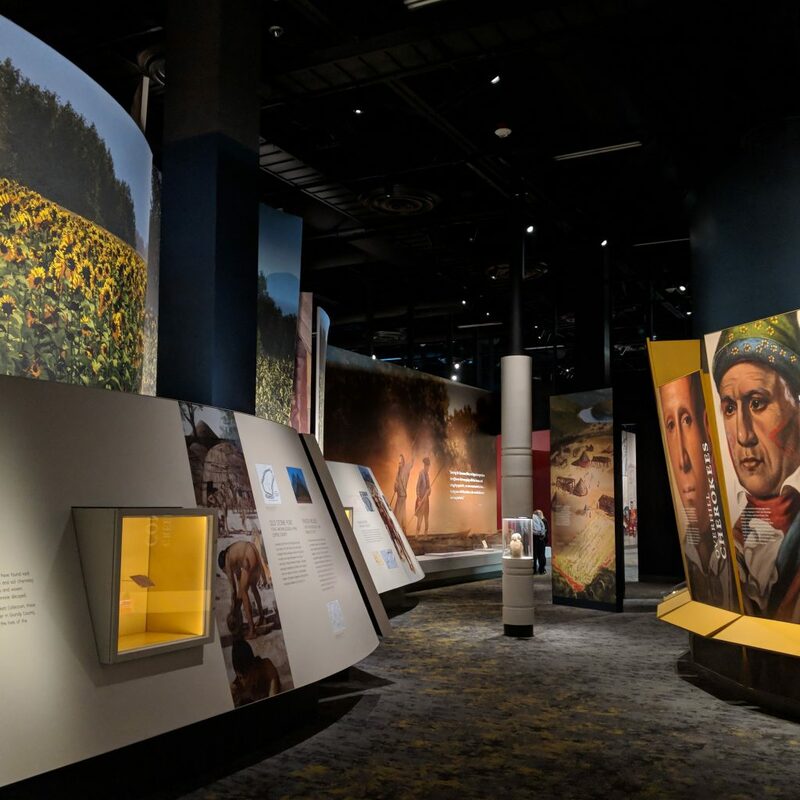 Milestones along this journey through time celebrate the diversity of life through the lens of Minnesota’s natural history and its connection to the global tree of life. Looking back at the previous galleries, you begin to understand the chain of events that had to occur for the vast diversity of life you’re seeing to exist. The transition from the Tree of Life to Web of Life unfolds through an exploration of the dynamic change that occurred after Minnesota’s last Ice Age. 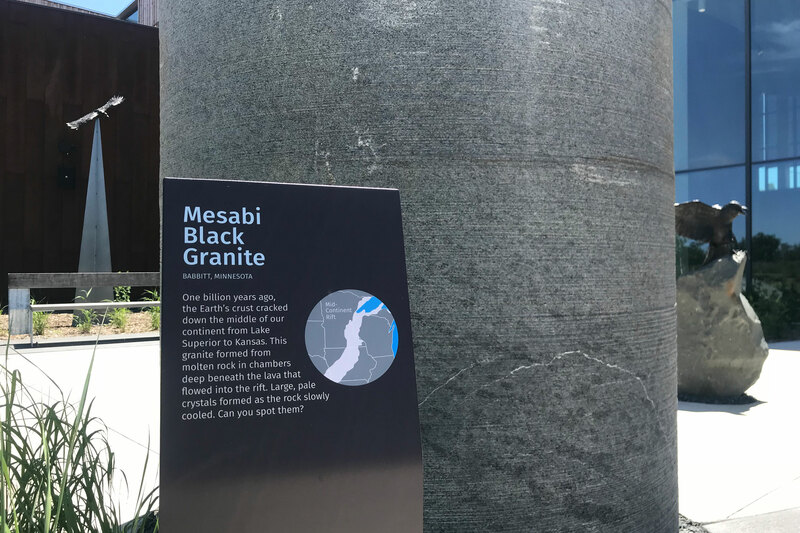 The diversity of life and living connections in Minnesota is impressive considering the region was covered by a barren ice sheet only 16,000 years ago. This section opens with Woolly Mammoths roaming the glaciers edges. It’s like stepping inside a life size diorama. Touch & See Discovery Room: In the past, museums did not allow visitors to touch artifacts and specimens. 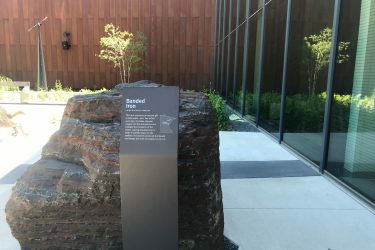 The original Bell Museum was the first in the world to build a Touch & See Lab, that opened in 1968. This redesigned Touch & See Lab continues the tradition on the 50th Anniversary of the original. 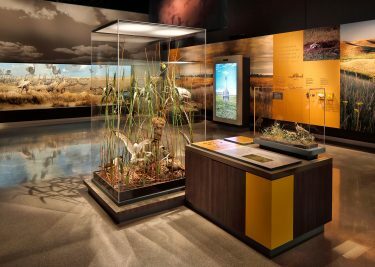 It allows visitors to engage all the senses, through discovery of the over 4,000 artifacts and specimens (including live-specimens) in this room. Curiosity, wonder and questioning are at the heart of science, art and the human drive to make sense of the world around us. 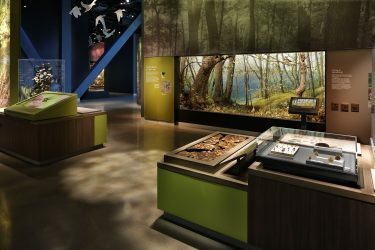 In this room, young visitors learn through a combination of observation, compare-and-contrast, and sensory engagement. Explorations are facilitated by museum educators and University student interpreters who share their passion and love of the sciences. The Bell is back and better than ever! And we could not have done it without G&A. We hope you take pride in your role in transforming our state natural history museum and consider it one of the most significant projects in your portfolio. We certainly see it that way! 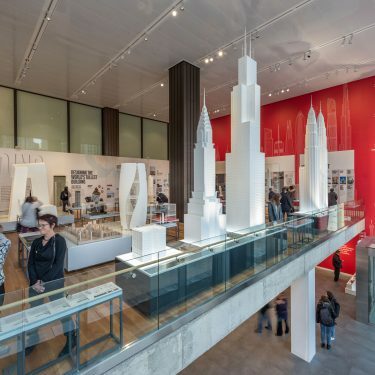 The signage program echoes the aesthetic and visual language of the museum’s architecture, while also respects and delivers on the mission of the museum to ignite curiosity and wonder, explore our connections to nature and the universe, and create a better future for our evolving world. Gallagher & Associates took care to ensure each material used was sustainable and conscious of the museum’s mission. Pylons are constructed out of reclaimed TMT (Thermally Modified Timber), left-over from the building facade. Wayfinding and donor signage are fabricated using Richlite, a highly-sustainable material made from resin-infused recycled paper. 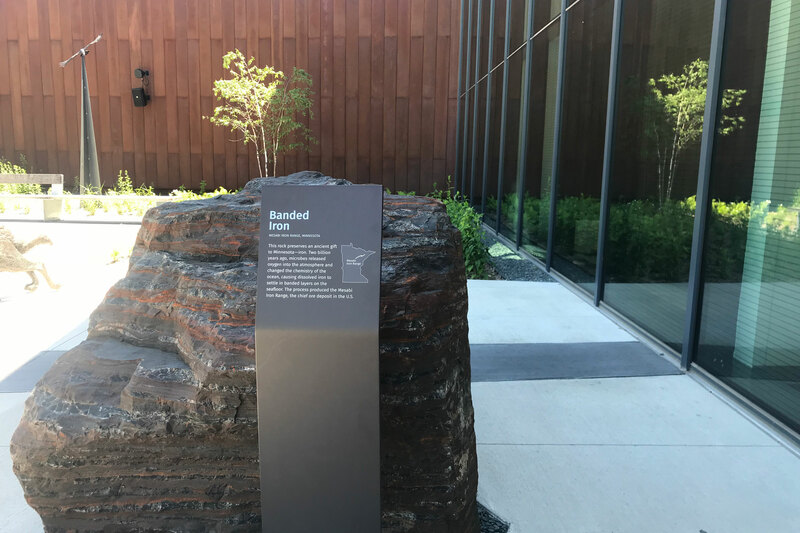 Gallagher & Associates designed interpretive signage and wayfinding for the Bell Museum to connect visitors to the learning landscape, where they can explore geological artifacts, a living beehive, permeable pavers, a sundial sculpture and more. 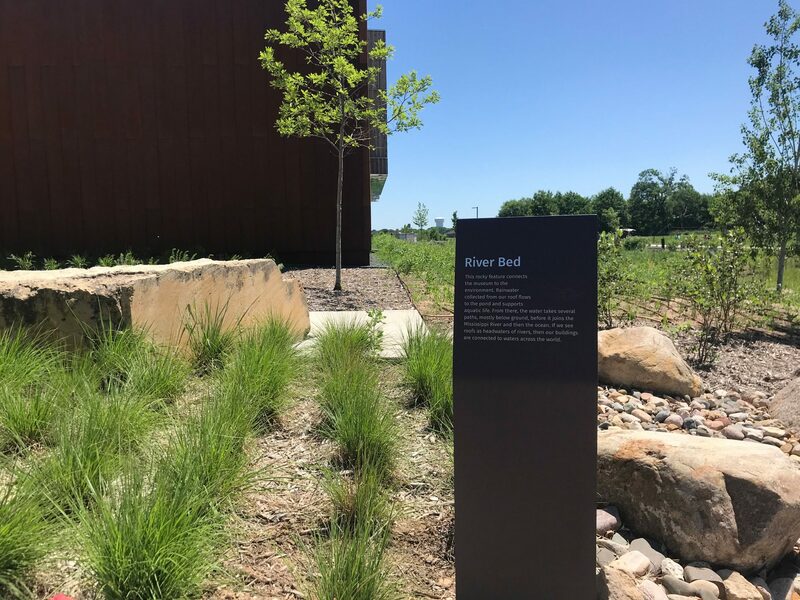 Interpretive signage highlights each features origin and significance among the learning landscape, while also providing donor recognition throughout. Thanks for signing up — you're on the list.